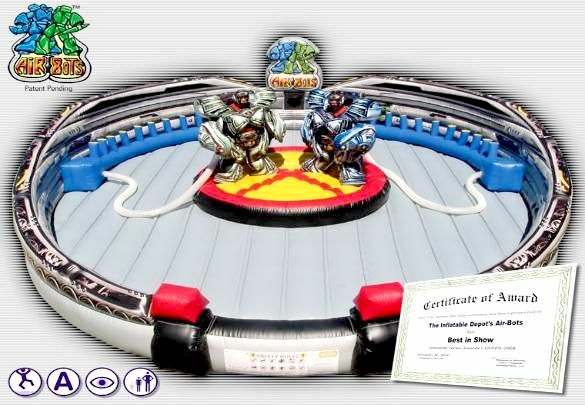 Air-Bots is the inflatable battle to end all inflatable battles, bringing reality and digital graphics to live participants! Participants are suited up in futuristic, safe inflatable suits to engage in exciting matched contests. pressurized and then the battle begins as the two participants battle each other out of the ring onto the inflatable arena.